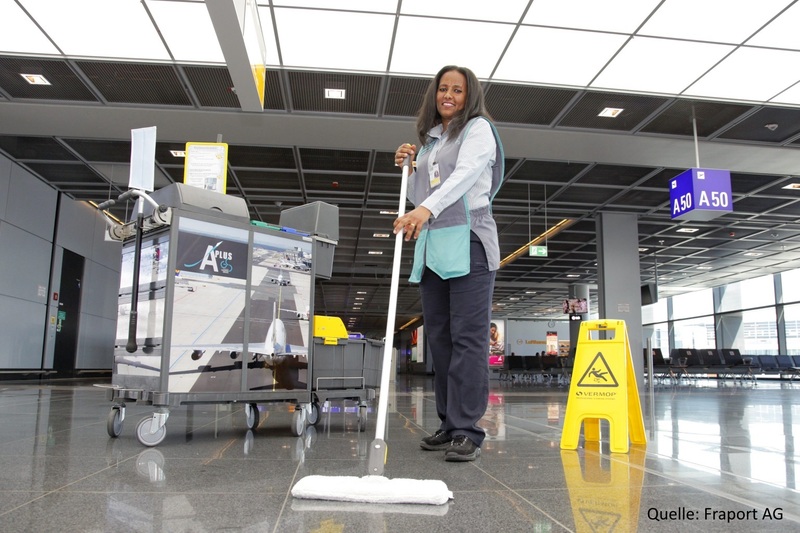 We develop for Fraport AG (Frankfurt Airport) since 1999 custom solutions in the field of industrial cleaning. One component is a program for calculation, management and billing of cleaning services. This allows our client to manage his cleaning master data, make any changes due to closures or conversions of rooms and to create monthly invoices. Via an interface, these accounting data are then transferred to the airport-wide SAP system. Our program also serves for quality control. Both planned inspections according to DIN EN 2859-1 as well as ad-hoc inspections and audits can be performed with mobile devices based on the Android operating system. Defects can also be documented photographically on site and forwarded to the respective contact person by email or SMS. The cleaning services working for Fraport AG also use this application for their internal quality controls. Using a web application, the cleaning services are informed in realtime about the current status of their cleaning quality.